I have to confess that a few years ago I was one of the most outspoken opponents of the cloud. At that time, cloud was really nothing more than a fancy word for outsourcing and there seemed to be a very real danger that huge numbers of IT professionals would lose their jobs to rampant cloud outsourcing. As is the case with everything in IT however, the cloud has evolved. 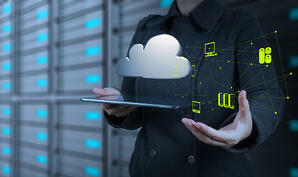 Cloud services are no longer about completely outsourcing corporate IT. There are very real, and legitimate use cases for the cloud. The biggest selling point today is that cloud services reduce costs on things like server hardware and server maintenance. Rather than an organization having to purchase physical devices, they are able to lease space on a cloud provider’s hardware. This sharing of hardware resources saves money because no one single organization is forced to incur the costs of a full server. Even if an organization consumes cloud resources that are the equivalent to multiple physical servers, the organization still manages to avoid the initial investment cost for the hardware. Rather than incurring a huge expense upfront for purchasing hardware, the organization merely pays a monthly subscription fee. Perhaps the greatest long-term savings however, come in the form of reduced maintenance costs. This is especially true for Software as a Service clouds. Rather than purchasing an application and installing it locally, an organization is able to run the application in the cloud. By doing so, the organization can rest assured that the application is running on supported hardware and is using an optimal configuration that was put in place by the vendor that created the application. Furthermore, the organization does not have to deal with application patching, because those types of tasks are handled by the cloud provider. In some cases, moving resources to the cloud makes sense from the standpoint of long-term supportability. Consider for example, a situation in which someone deploys an application locally and then soon after leaves the company. In this type of situation, there is a very real possibility that no one other than the former employee knows exactly how the application was configured. Was the application set up properly? Are there configuration nuances that will make it difficult to update to a new version of the application the future? It’s tough to say for sure. In the case of a cloud hosted application however, these concerns go away so long as someone in your organization has the administrative password. In my opinion, the greatest benefit to cloud services are that they make industry best practices and enterprise class hardware available to organizations of almost any size. Take my own organization for example. For about twelve years I hosted my own Exchange Server in-house. Because I only had a few mailboxes, it didn’t make sense to invest in enterprise grade storage. Today however, my mailboxes are hosted on Microsoft Office 365 which means that the Exchange Server deployment is fully supported and maintained by Microsoft and my mailboxes are hosted on enterprise grade hardware. Another benefit to cloud services is that cloud hosted resources are accessible from virtually anywhere in the world. I recently spent some time in a remote location that was hundreds of miles north of the Arctic Circle. Even in that part of the world, there was intermittent Internet access which made it occasionally possible to access various cloud services. I will be the first to admit that traveling to the ends of the earth probably isn’t a requirement for most businesses. Even so, the point remains that providing anywhere access to applications and other resources offers the potential of making the organization more efficient. Users may be able to take advantage of time that would otherwise be wasted, such as time spent commuting. Cloud services can improve agility in another way as well. Consider Infrastructure as a Service clouds for instance. These types of clouds can be used to host workloads running on virtual machines. If the organization requires increased capacity, they have the ability to allocate additional resources to the workload. When demand returns to normal, the organization can just as quickly release those extra resources, thereby reducing costs. In spite of the various benefits offered by cloud services, many IT professionals have concerns about security. The most common argument that I have heard is that big cloud providers make big targets for hackers. In my opinion, security should always be at the forefront of every decision that an IT professional makes. That being the case, I don’t want to go so far as to proclaim the cloud as being invulnerable. Even so, I do think that the cloud offers some advantages when it comes to security. For starters, I think that the big cloud providers are secure because they have to be. Those providers know that they are a major target for hackers, and that a security breach could mean the end of their business. That being the case, such organizations go to great lengths to ensure security. A cloud provider might also offer somewhat better security than can be achieved locally due to a distributed attack surface. Large cloud providers utilize hundreds, if not thousands of servers. A single customer’s cloud resources might be scattered across dozens of random servers within the data center. That being the case, it could conceivably be difficult for a hacker to locate a specific organization’s resources within the cloud. Finally, there is the question of available resources. Large cloud providers have entire teams of security professionals who constantly monitor every aspect of the cloud infrastructure. While it is not unheard of for large organizations to do the same thing, is all but impossible for smaller organizations to achieve the same level of security on their own. While I do not believe that it is appropriate to move every conceivable resource to the cloud, I think that the cloud offers very real benefits for certain types of workloads. This is especially true for line of business applications (such as commercial applications) and for resources that occasionally need to be scaled up or down. Brien Posey is a freelance technical writer who has received Microsoft's MVP award six times for his work with Exchange Server, Windows Server, IIS, and File Systems Storage. Brien has written or contributed to about three dozen books, and has written well over 4,000 technical articles and white papers for a variety of printed publications and Web sites. In addition to his writing, Brien routinely speaks at IT conferences and is involved in a wide variety of other technology related projects. Prior to going freelance, Brien served as CIO for a national chain of hospitals and healthcare companies. He has also served as a Network Administrator for the Department of Defense at Fort Knox, and for some of the nation's largest insurance companies.